“Do you know how fatty liver can lead to liver cancer?” Dr Lee Kang Hoe provides his insights into this topic in a recent Facebook Live Interview. It is normal if you have a small amount of fat in your liver. But if it makes up more than 5% to 10% of the organ’s weight, you may have fatty liver disease. Fatty liver usually refers to a non-alcoholic fatty liver disease (NAFLD) to distinguish it from fatty liver due to excessive alcohol consumption or other secondary causes. NAFLD affects all age groups, children included. Obesity is the most common trait found in people who have fatty liver. NAFLD is a major health concern because it can lead to permanent scarring of the liver (cirrhosis) and potentially develops liver cancer and liver failure if left untreated. The risk is higher in older people with an obesity problem and/or diabetes. Unfortunately, among those who do develop liver disease, symptoms often manifest only after disease progressed to advanced stages. There are how many types of fatty liver disease? is damage to the liver induced by excessive alcohol consumption. Almost all the alcohol ingested is metabolised in the liver. The harmful effects of alcohol* in the liver may lead to fat accumulation, hepatitis, and cirrhosis. * Males drinking in excess of 80g and females in excess of 40g of alcohol per day for 10 years are at higher risk. Non-alcoholic Fatty Liver (NAFL) develops when the liver has difficulty breaking down fats, which causes the buildup of the liver tissue. The cause is not related to alcohol. NAFL is diagnosed when more than 5 – 10 percent of the liver is fat. Non-alcoholic Steatohepatitis (NASH) refers to inflammation in and around the fatty liver cells. It develops when the fat builds up enough, it will cause the liver to swell. This disease can impair liver function. If left untreated, between 10% and 30% of patients with NASH can progress to permanent scarring of the liver (cirrhosis), an irreversible condition, which causes liver failure and liver cancer. Does fatty liver disease only affect obese individual? Obesity increases the risk of developing NAFLD. Thin people or those of average build can also get fatty liver. People can develop fatty liver even if they do not have health problems such as diabetes or obesity. People can get fatty liver from an unhealthy lifestyle that causes fat deposits to build up in their liver cells. NAFLD is not contagious through casual interaction with an affected person. What are the risk factors associated with fatty liver disease? Eating fatty foods do not by itself produce a fatty liver. But consuming excess calories can cause fats to build up in the liver. Diabetes: Sugar intake from food and beverages should be limited to prevent excessive calorie intake from high sugar. Elevated triglyceride levels: High triglyceride levels can be a clue that you have fatty liver disease. Metabolic Syndrome: People who have a combination of high blood pressure, abnormal blood sugar, obesity, high cholesterol; these are similar to risk factors for heart disease. Due to the metabolic risk factors that patients with fatty liver have increased the risk of developing cardiovascular disease. People with NAFLD are more likely to become ill and die from cardiovascular diseases such as heart attacks than from a liver problem. What to avoid on the fatty liver diet? The danger of a fatty meal. Alcohol: Because it impairs the liver’s ability to metabolise fat, alcohol is a direct aggravator of fatty liver disease. Sugar: Besides being devoid of nutritional value, sugar activates lipogenesis – fat production in the liver. From adding sugar to coffee, eating sugary treats to drinking sugary drinks, sugar is a proven route towards the fat accumulation of the liver. Soda or anything with high fructose corn syrup: Many experts believe that high fructose corn syrup (commonly found in Soda) is the single biggest cause of a fatty liver. Since it can be found in many common foods like cereal, yogurt, juices, and bread, reading a product’s label is important to identify high fructose corn syrup. Artificial Trans Fats: Known to create inflammation in the blood vessels and raise cholesterol levels, artificial trans fats (or fatty acids) are typically found in processed foods in the form of partially hydrogenated oils. High Glycemic Carbohydrates: Breaking down quickly into sugar, high glycemic carbohydrates are typically carbohydrates that are low in fiber. Examples include white rice, white bread, bagels, regular pasta and corn products. Can children develop the fatty liver disease? NAFLD/NASH is now recognised as an increasing health issue in children and teenagers. Risk factors include obesity, insulin resistance, and hypertriglyceridemia (high triglycerides). If your child is suspected for NAFLD due to obesity, routine blood tests required to examine the levels of certain liver enzymes. The diagnosis can sometimes be confirmed by ultrasound or other imaging techniques, which can show fats built up in the liver. Because certain medications, viral or autoimmune hepatitis, metabolic disease, and congenital liver disease can also cause fat to build up in the liver, it is important to rule these causes out before diagnosing a child with NAFLD. Controlling your child’s weight, especially through healthy diet and regular exercise helps. Although many people feel they could lose some weight, few would consider themselves obese. A widely-used measure to define “overweight” and “obese” is the Body Mass Index (BMI). A BMI is a calculation used to indicate whether a person is at a healthy weight for their height. You can use the following formula to calculate your BMI = weight in kilograms divided by (height in meters)2. Different ethnic groups may differ slightly. 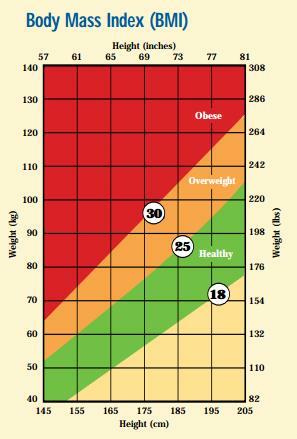 For example, in Asian populations the healthy BMI is lower, ranging from 18 – 23. Suggestions to reverse a fatty liver. What are the tips for patients? Management of patients with NAFLD depends largely on the stage of the disease, emphasising the importance of careful risk stratification. All patients with NAFLD due to obesity require advice about lifestyle modification aimed at weight loss and increased physical activity, as well as treatment of any associated metabolic risk factors (diabetes, hypertension, and dyslipidemia). Lose Weight – safely. This usually means losing no more than half to one kilogram a week. Lower your triglycerides through diet, medication or both. How do you prevent fatty liver disease? Maintaining a healthy diet and exercise is still the key to protecting your liver. A healthy diet and regular exercise are important in preventing fatty liver disease. A sedentary lifestyle increases the risk of liver damage.